when it sounded like a dream translated into vinyl? Gone is that era, closed in a vintage closet." 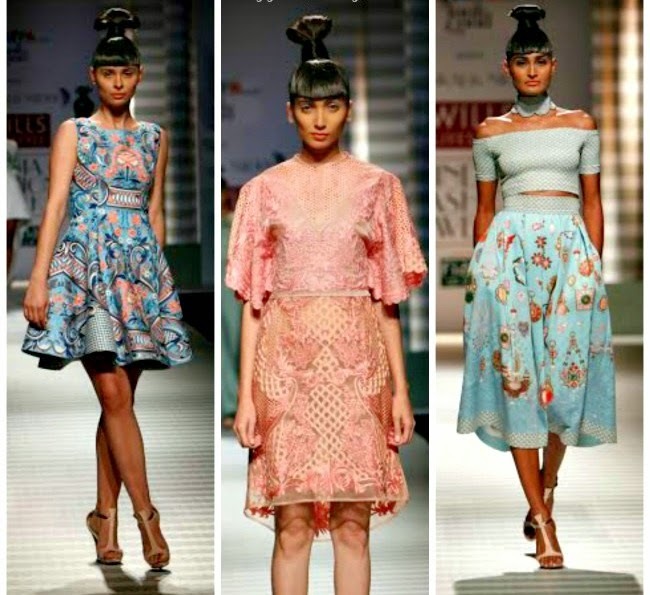 Vintage Closet' is about a place of hidden treasures, brooches and pearl strings, fragile lace blouses, dentelle and cross-stitch linens- a charmed world that formed the inspiration for the collection by the duo Pankaj and Nidhi. 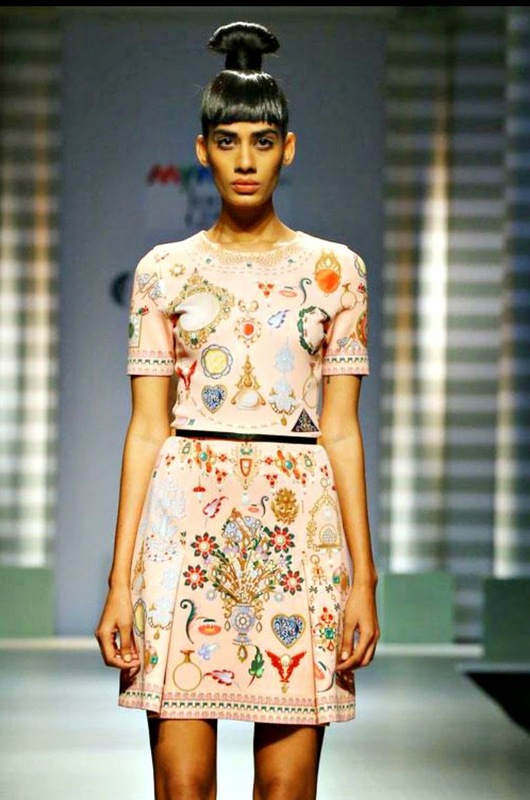 On Thursday evening, the second day of the fashion gala, organised by Fashion Design Council of India (FDCI), they showcased a collection that brings back yesteryears’ craft to the woman of today. 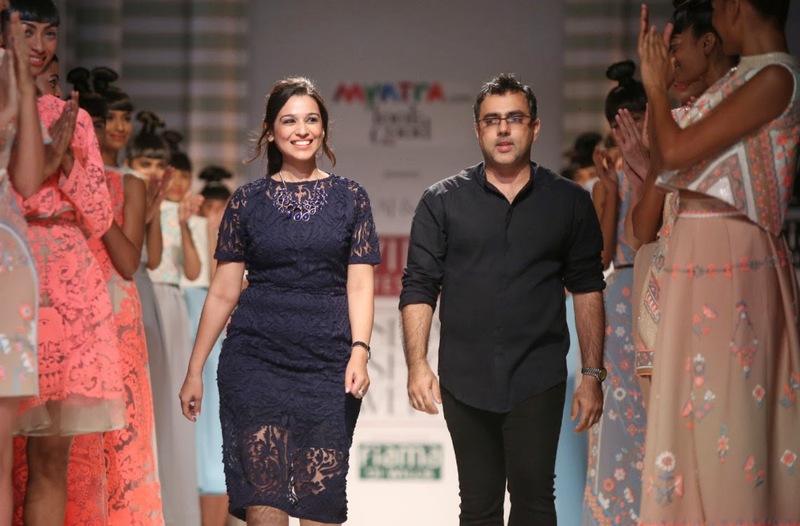 The designer duo partnered up with Myntra.com and showcased their Vintage Closet this season which overflowed with silk thread-work, jackets, fuller and high waist skirts and cape- dresses. Inspired from old school interiors and jewel brooches, pearls and pendants make subtle appearances throughout in pastel pallets. The eminent designers have used intricate silk thread-work to transcribe the elegance of lace in cape-dresses and jackets. 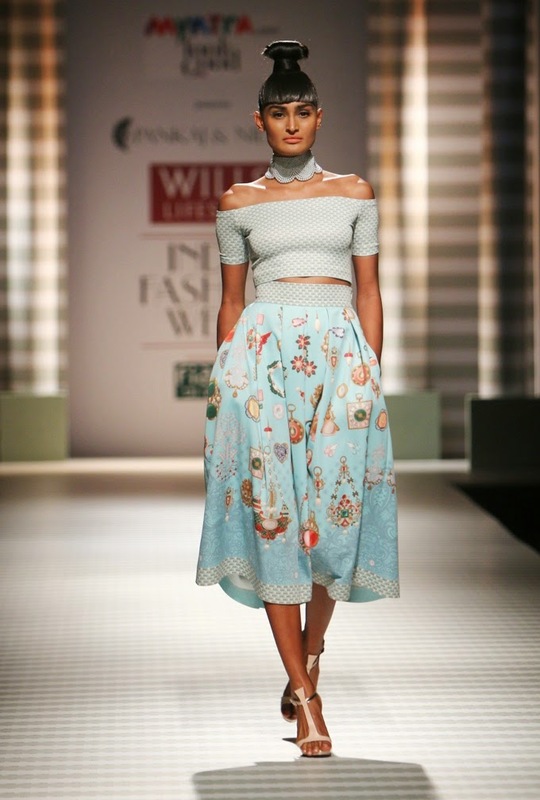 Full, lady-like skirts with an accentuated high waist add to the womanliness of the attires. Cropped tops and shift dresses with retro-style beadwork in hand punched fabric loops bring out the richness in the ensembles. 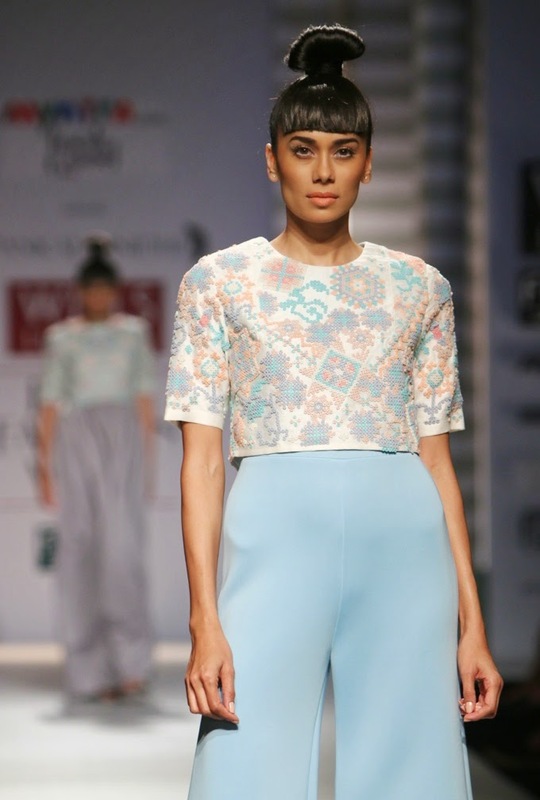 The garments are classy, elegant and very wearable off the ramp as it isn't in most cases. It’s for the woman who loves all things vintage, and wishes she was living in the good old days when women were ladylike and men were chivalrous. The runway decoration was also done in a way to add more power to the theme of the line. There were lot of vintage stripes with wall papers of 1980s and 1990s to give an old world charm to the presentation.